Was Boba Fett always a tough fighter, willing to kill at a moment’s notice? An episode of “Star Wars: The Clone Wars” shows us a young Boba Fett who is not interested in killing innocents. 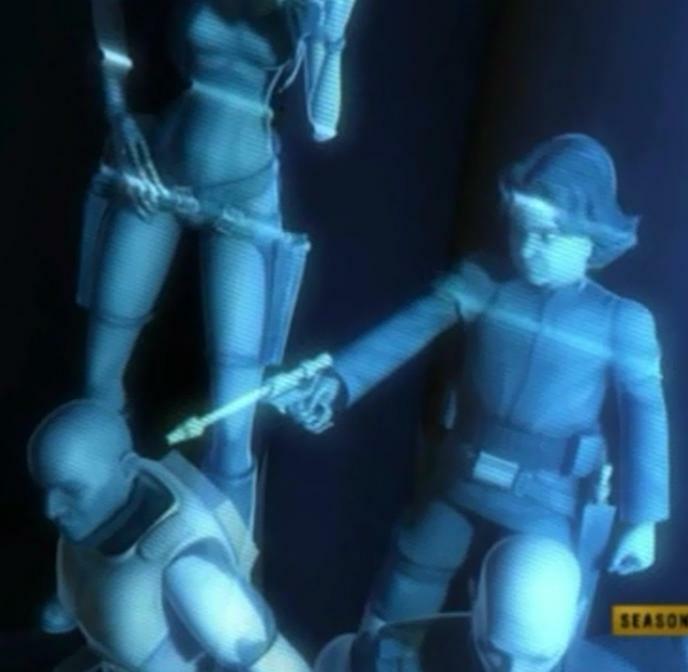 In the first half of the second season finale, “Lethal Trackdown”, portrays a young Boba Fett, in which he is incredibly hesitant to killing anybody who is not Mace Windu. At the outset, while on the bridge of Slave I, Boba decides to talk to the hostages they took from the crash of the “Endurance”. Boba says to Admiral Killian, who is being held hostage: “This isn’t what I wanted,” removing the kerchief from his mouth, compassionately, then giving him water to drink. “You don’t have to do this,” observes Admiral Killian. “You’re not like them. I can tell.” To which Boba immediately responds, trying to seem tough: “What do you know, old man?” Again, Killian observes: “I know a good soldier when I see one.” Boba tries to distinguish himself: “I’m no soldier. I’m no clone – not like those two,” pointing to two clone troopers. This interaction shows a young Boba Fett who is, on the one hand, compassionate, and trying to show his being reasonable and, on the other hand, trying to show that he is tough, lest he be considered weak. It also shows, once again, that Fett is insecure about his identity in relationship to the clone troopers. We next see that a holocommunication sent to the Jedi Council, where Boba Fett is holding the three hostages in front of him on their knees, while he is pointing a blaster at the back of their heads. “Mace Windu, you were lucky to escape,” says Boba trying to sound tough. “Your friends here were not so fortunate.” Then, Aurra Sing threatens: “Until you face Boba, these men will be killed, one at a time.” Sing then tells Boba to kill one of the clone troopers. Boba then raises his blaster, but is morally unable to pull the trigger and kill him. So, she shoots the clone trooper, killing him, while Boba looks on horrified and surprised. In this first part of “Lethal Trackdown”, we see a focus on Boba Fett as someone who is intent on killing Mace Windu, but no one else, just as in “Death Trap”, and we also see him as showing compassion, yet trying to show that he is tough.